Tombola July Summer Getaway is surely on every one’s mind right now – Yip, with July around the corner there are so many specials in the offering that we are here to remind you of some of the more important one’s. You can win three of the £2,000 holiday vouchers in Tombola July Summer Getaway. All you need to do is stake in one of the 11 promos throughout July and gain an entry . Bottom like here is stake in all 11 Promo’s and earn 11 tickets. Every night throughout July you can stand a chance to win £5,000 for a Full House prize at 9pm. Worried you’ll be missing the footy after the World Cup Final on Sunday 15th Well that is not going to happen on our watch so don’t worry. 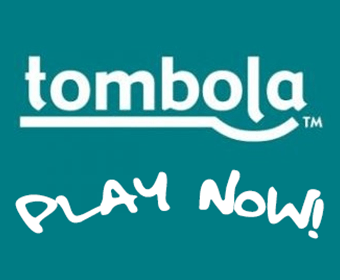 Tombola July Summer Getaway have you covered with their World Cup after party in Cinco – there will be prizes up to £150 in every single game between 8pm-10pm. There’s a BIG finish to the Tombola July Summer Getaway month over at tombola on Tuesday 31st with an absolutely massive £10,000 being added to the bingo90 Jackpot at 8pm. If you buy into that 8pm game you’ll also get an entry into their Summer Getaway promo, and hang around until 9 when there will be a HUGE £5,000 Full House up for grabs too! This entry was posted in General Bingo on June 29, 2018 by Gary.